Thirteen Scottish Football clubs sign up to the LGBTI Sports Charter. Signing up to the charter today are Aberdeen, Celtic, Hearts, Hibs, Partick Thistle, Rangers, St Johnstone, Dumbarton, Airdirionans, Albion Rovers, Forfar Athletic, Elgin City & Peterhead. Scott Cuthbertson, Development Manager of the Equality Network said, “We’re delighted that these clubs, from across all four SPFL divisions, are today making a commitment to LGBT supporters, officials and the next generation of LGBT players. Today’s message is loud and clear, everyone is welcome at football and we are working for a more inclusive game. 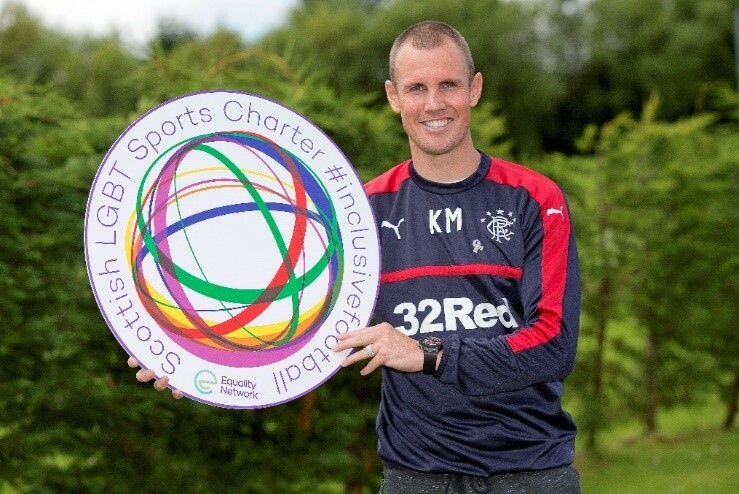 Rangers striker Kenny Miller commented, “Rangers is an inclusive club and strives to promote equality and inclusion and we are delighted to sign up to the Scottish LGBT Sports Charter. Celtic’s Scott Brown said, "This is an issue which needs to be addressed and tackled and therefore we are delighted to sign up to the Charter, and promote the very important message that sport is for all." Russell Anderson of Aberdeen FC said, "Aberdeen FC is proud to have been the first Scottish club to have signalled our intent to sign up to the LGBT Sports Charter and we are delighted that so many other clubs have joined us in doing so." Ian Maxwell, Managing Director at Partick Thistle Football Club said, “Football can be a very powerful tool to help fight all types of discrimination. Football is a universal language so no matter what your race, religion, background, gender or sexuality, kicking a ball about or watching your team on a Saturday helps put everyone on a level playing field. That is why, as a club, we are very proud to sign up to the Scottish LGBT Sports Charter. 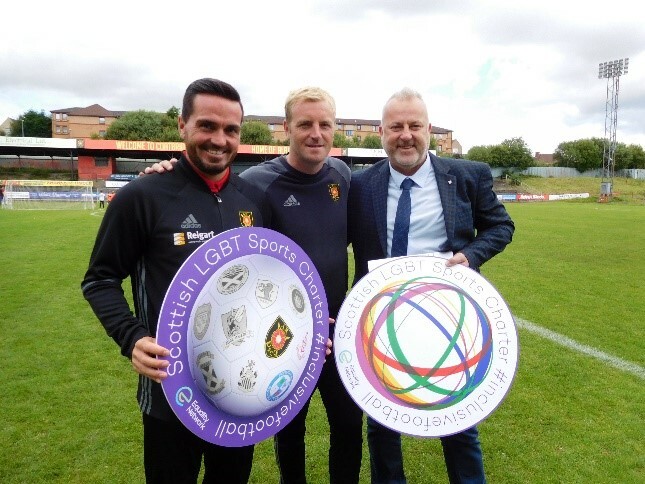 David Douglas, Chief Executive of Albion Rovers FC said, “Albion Rovers FC are fully committed to implementing this charter and believe that our football club should be inclusive, diverse and welcoming to any individual or group. Football teams and football players have a vital role to play in sending out strong signals that everyone has the right to be included and treated with respect and dignity. This is an important area for us and all football teams who want to be seen as modern, progressive and determined to be more than just a football club." Martin Johnston, General Manager of Peterhead FC said, “Peterhead FC are delighted to sign up to the LGBT Sport Charter and this reinforces our on-going commitment to ensure people throughout the footballing community, regardless of their sexual orientation or gender identity are able to support, work and play for the club in a warm, friendly and welcoming environment. Hugh Torrance of LEAPSports Scotland said, “We welcome the news that thirteen Scottish football clubs have now signed up the Scottish LGBT Sports Charter, which is an important step in the work that needs to happen to transform the men's game. Written on 5th August 2017.